Designing a formal water feature in any garden is always an exciting challenge as it gives the opportunity to create a fantastic centre piece. 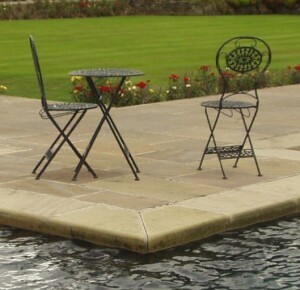 Normally a pond is a small feature in a garden, a minor element if you like, whereas a formal water feature can be the major focal point which the rest of the garden is created around. 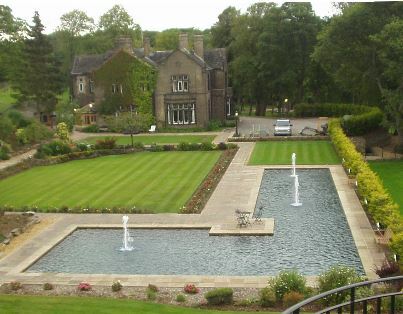 A property near Bradford required major re-landscaping and restructuring and as with many designs this formal water feature was just one part of the overall project undertaken. 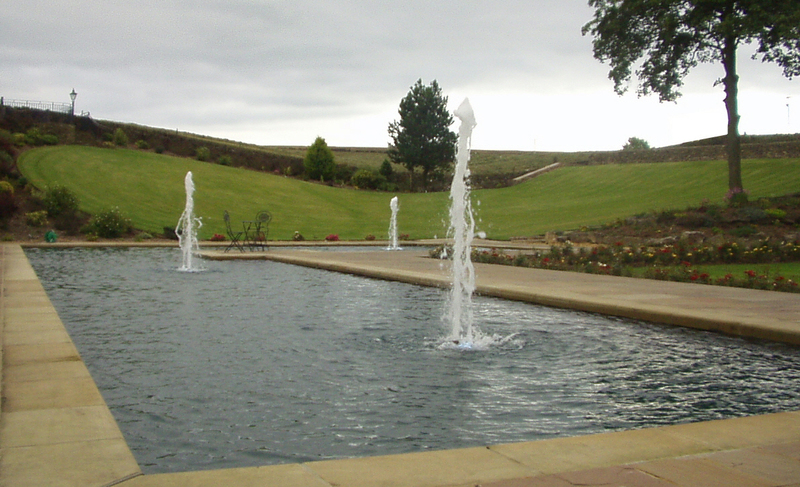 A water feature of this scale requires careful planning and is beyond the normal butyl-lined pond of a typical design. This project is not on the scale which most clients require but it demonstrates that whatever the project, big or small, planning and careful consideration are really important. Water management is important with any pond and an overflow and control system should be in place – after all nobody wants their pond to overflow! This water feature includes an underground control bunker where a plumbing system controls the water level in the pond efficiently using a drainage system as well as being able to use the same system to irrigate the garden, borders and lawn in the summer. The three fountains are controlled either manually or on a timer and incorporate lighting into the main assemblies. Low-energy horizontal floodlighting to the side make this a fantastic feature at night. 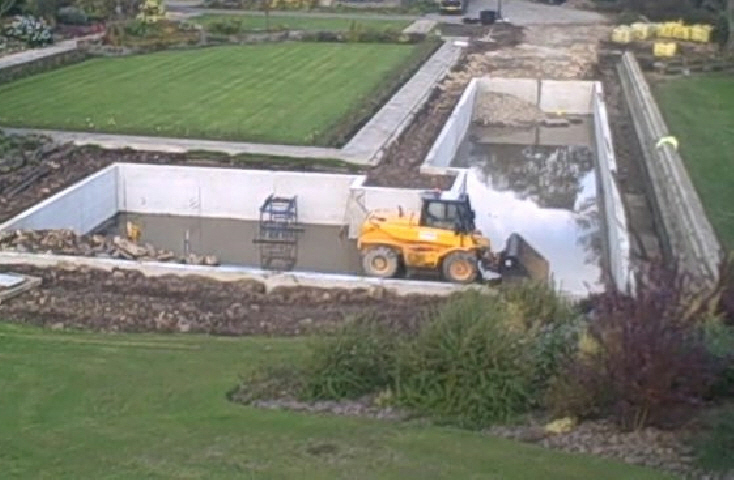 The construction is in-situ cast concrete sealed to a concrete base incorporating all pipework, electrics and overflow into the construction to minimize joints. In keeping with the property all the paving is in stone with made-to-order bull-nosed sandstone edging to the waters edge. The design around the water feature incorporates new lawns, paving, retaining walls, driveway to the front of the house and the fantastic hedge to the right hand side which curves around the parking at the house entrance. One of the main design functions of the water feature is that as visitors approach the property and turn at the front of the house they look across the smaller lawn and straight down the water feature and the fountains – it is a wonderful unexpected feature for visitors to see. The fountains are all linked together and fed by an underground pipe. Photograph taken from video. This shows the basic layout for the water feature and the depth.